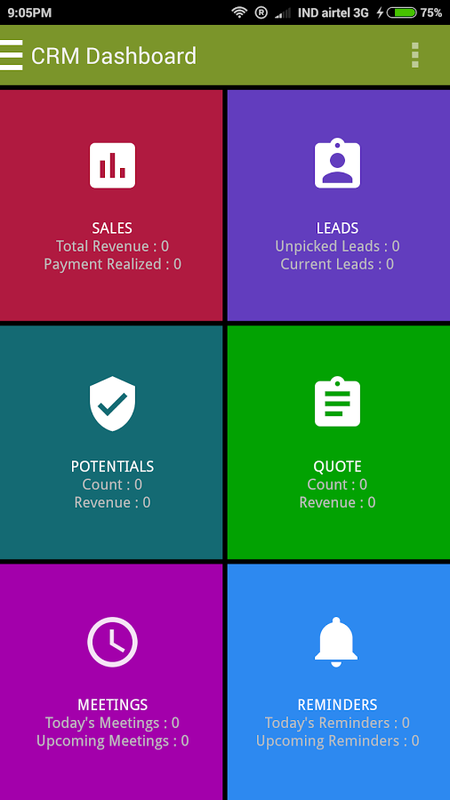 We are very excited to announce the SOCAmps Mobile CRM – a Mobile CRM for Mobile Sales People. All Mobile Sales People have a common problem, updating their CRM. What if updating a CRM is not such a hassle. Why do you need to wait till you reach home or work to be in front of a computer to update the CRM. Are CRMs supposed to be a boring the hell out of the system. Are your Mobile Sales Agents trying hard not to see the CRM itself. Are they giving you written notes and multiple e-mails to know more about the Customer. Is there anything lost between your Sales Agent and your CRM that whenever there is an issue with a Customer – you need to go running back to the same Sales Agent. Introducing SOCAmps Mobile CRM which reduces the burden of updating and keeping up with the CRM. It provides you the much needed respite from entering a Lead into the CRM system by automating Addition of Leads through APIs & Widget integration. Each and every note gets directly updated to CRM. Instead of writing on your pocket note, why don’t you update on the Mobile App. Enables Sales numbers to be updated at the flick of a button. Sales Reports delivered Daily without much fuss. Sales Agents & Sales Managers just love SOCAmps Mobile CRM. It unifies Sales Conversations with Leads/Potentials, Quotations, Purchase Order, Invoice and Payment Realization with just a simple Touch. SOCAmps is not just a CRM, it is the silver bullet you have been wanting. 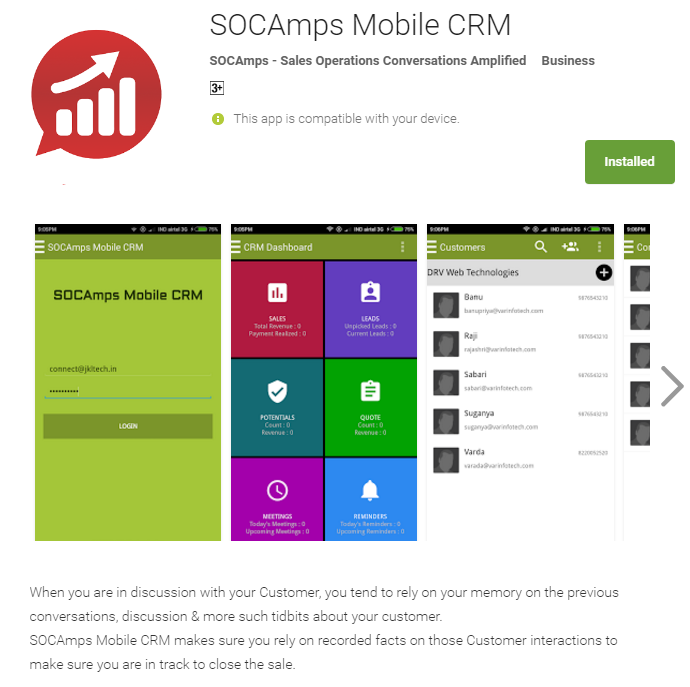 Download SOCAmps Mobile CRM Today!